Bloom and his Taxonomy gave me a guilt trip. 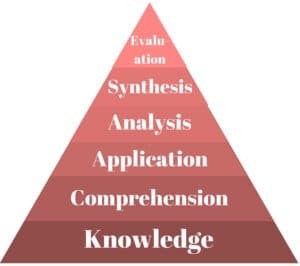 Like many teachers-in-training, I was taught the cognitive domain of his hierarchy of questions: knowledge, comprehension, application, analysis, evaluation, and synthesis. Whether it’s a whole-class read-aloud or a 1-on-1 conference with a book, I’m always second-guessing my questions for reading comprehension. That’s just a literal question, Marnie. That’s simply seeking after basic knowledge—I’m not asking her to think! Start with a “why” or “how” question, for pity’s sake. And then! Enter the self-reproach that comes from not asking enough text-to-world or text-to-text questions. Why is every question always about their lives only? How can I prompt them to see the connections to their world about this? I’m not asking the right question! Hyperbole aside, a teacher wields incredible power with her questions. The difference between a student’s learning or not. The difference between her insight into the child’s area of need or not. Yet, when I struggle with teaching a struggling reader how to comprehend on his own, I have gotten bogged down by the bewildering number of question-types I could ask. After much trial-and-error and considerable reading of the research on comprehension, I distilled the possibilities down to 1 question. What’s the main thing the author wants you to learn? In 1-2 sentences, tell someone who hasn’t read this, what it was about. As briefly as possible, describe what you learned. Teasing aside, Bloom aptly noted that the foundation for learning rests on knowledge and comprehension. Think about what the word “foundation” means? 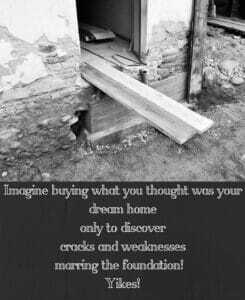 Imagine buying what you thought was your dream home only to discover cracks and weaknesses marring the foundation? So it is with learning to read. 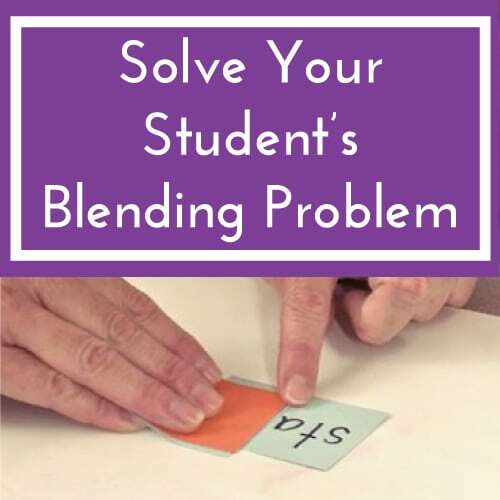 Fill in the foundation’s concrete smoothly and completely by helping the developing reader to know that her first order of business when encountering any text is to summarize in her own way. Analysis and evaluation or text-to-world connections will come later. And we can ask them along the way, for sure! Yet, if we don’t ceaselessly pursue her meta-cognitive ability to retell, summarize, state the gist, or whatever you like to name “summarization,” she will not develop into a strong reader. Nor will she develop into a strong learner. Besides rapid recognition of words, a second hallmark of a good reader is the awareness of his own ongoing comprehension of what he is reading, as he is reading it. He assesses his comprehension by considering if he can create an running image or dialogue in his mind of the fiction text’s main action or the informational text’s main lessons. This work of thinking and continuously summarizing is the main, the primary, the foundational work of reading, and, frankly, of learning. We should ask deep questions. We should help students connect their experiences and their reading lives with the book at hand. At the intersection of a good text and the human mind lie profound possibilities. be aware of when he is or isn’t comprehending so he can re-direct his efforts (this is what meta-cognition does for him). The Most Important Question–or “What is this text about?”–is a matter of relative priorities. It’s a matter of preeminence among multiple, competing standards. 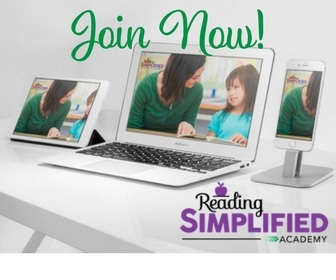 Here at Reading Simplified we strive to cut through the clutter of standards, expected outcomes, objectives, guidelines, chapter goals, suggested activities, Pinterest wonders, etc., etc. We want teachers to see clearly a streamlined path towards cultivating successful readers and learners under their wings. That’s why it’s important to remember that not all standards or objectives are created equal. For instance, there are 10 Literature Common Core State Standards for the first grade teacher to teach towards. Which of the following two has a greater importance? While both are good, only standard 1.2 represents the core work of reading comprehension. Indeed, this standard of retell and showing understanding should make up the bulk of the first grade classroom. So, don’t let the press of the many (standards) press out our focus on the essential (retelling or summarizing). This is probably making intuitive sense to you. Strategies are not all equal. There is a greater payoff to some strategies than to others, so I would definitely put my instructional nickel on the ones with the big learning outcomes. The most powerful strategies by far are summarization (stopping throughout a text to sum up) and questioning (asking and answering your own questions about the text). The weakest: teaching students to think about how to respond to different question types (effect sizes so small that I wouldn’t waste my time). Images, input, and information bombard young children today. Imagine with me an intrepid young reader learning how to think as she reads. She reads a little, hears a noise, bites a nail, looks at the picture, reads a little more, remembers what happened on The Voice last night, sings a tune from the car ride silently in her head, and then reads a little more. All of that incoming information must be organized and stored, if under standing is to happen. 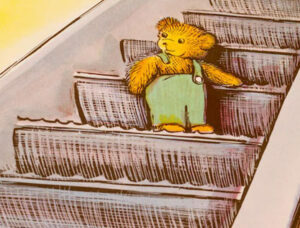 If the teacher asks her, “Why is Corduroy going up the elevator?” Our young reader may be able to pull that slice of information out of the jumble in her head. However, that does not ensure that she can provide a coherent summary of the plot basics. I have seen this countless times, especially with young readers, those with limited experiences with texts, or those with language processing challenges. Some kids can understand the bits of a text but cannot re-create the whole. Teachers who haven’t ensured that every student can independently create a summary of a grade level text may be missing informal assessment opportunities by not leading with The Most Important Question. They may unwittingly be making assumptions and trying just for the “more advanced objectives,” all the while the foundation for comprehension hasn’t been laid. That’s why it’s essential to always remember The Most Important Question when discussing a text with students. How does this work day-to-day? During guided reading, a teacher might keep assessment notes on which of her students can summarize well. 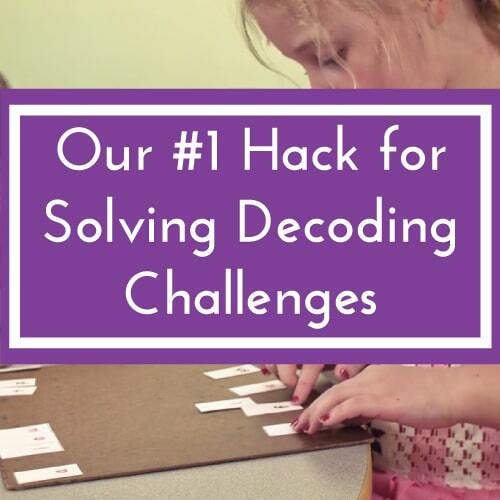 If Dino and Emily can’t, then every day, the teacher coaches them through a summarizing opportunity until they have mastered The Most Important Question. The other students will also have opportunities to summarize and they will also receive more opportunities for more open-ended questions a la Bloom. Or, for whole-class read aloud, a teacher might target Dino and Emily especially with the, “What’s happened so far?” question. If they volunteer for any other question type, great! But she will likely hold that diagnostic challenge in her head as a foundational instructional goal until both Emily and Dino achieve it. 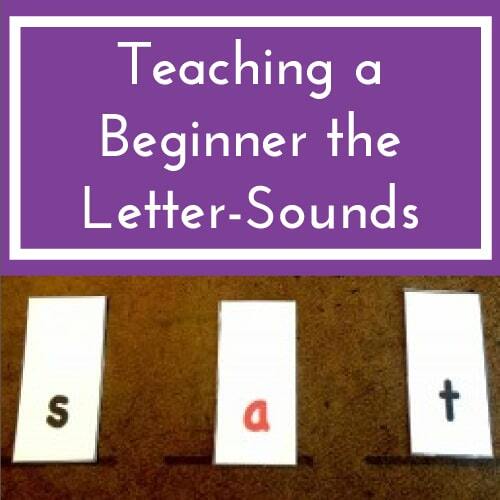 Emphasizing just 1 question at first may now sound good to you but, if you are like me, you also may be squirming in your chair because you are beginning to remember how challenging it is to teach someone how to summarize if he doesn’t already know how to do it. Teacher: Who can briefly tell me what Courderoy is about? Pretend you are telling your mom about the book today when you get home. Happy 1st Grader waving his hand: A teddy bear! Teacher: Yes, the main character of the book is a teddy bear, Corduroy. 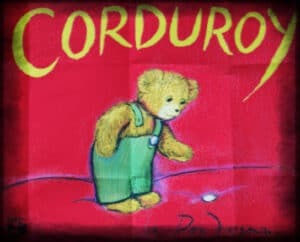 What happens to Corduroy? Same Happy child: A lost button! (Getting weary) Teacher: Yes, Corduroy loses his button one day. But think about the whole story from the beginning (pointing to the first few pages) to the end (flipping to back and showing pictures). What problem does Corduroy have and how does it get solved? Happy child, more tentatively: He loses his button. He pulls on the bed’s button. And so it goes…if the teacher wants to persist with this child. Teacher: Sarah, can you please tell the class what Corduroy is about? Sometimes this is the best response (sans the attitude) given the variables we are juggling in our class. Often, though, it is a short-cut that misses a critical opportunity to teach how to answer the Most Important Question. Why do we take the short-cut? I think we avoid The Most Important Question because coaching a student on the mental gymnastics needed to summarize (if he hasn’t already learned the skill) is VERY HARD. Yes, I’ll admit I sometimes avoid it! We avoid the interaction because we’re not sure we can effectively guide the child to begin to summarize. I hope the following general strategy will relieve any anxiety. This set of steps has served us well for young children as well and adolescents whose foundations have been neglected. The 3 Main Parts of a Story. If she offers single words, short phrases, OR if she tells you every single thing that happened in the story from beginning to end, then respond to her with what was good about her answer. Ask, “First, who are the most important characters? [If the child misses a critical element, refer back to the 3 key ingredients in most stories and note which element he skipped or explained in too much depth. How do you think your students would fare right now if they were expected to summarize a grade level text read to them? If not, I challenge you to informally begin assessing your class. Just keep a checklist with their names on it and tick off each student that can answer The Most Important Question–during a read-aloud, in guided reading, in an individual conference, or through writing at a listening center, etc. Please put this objective of summarization at the top of your goals for comprehension until every last child’s name is marked off this list. All educators need to hold as their top priority the expectation that learners will understand what they are reading. 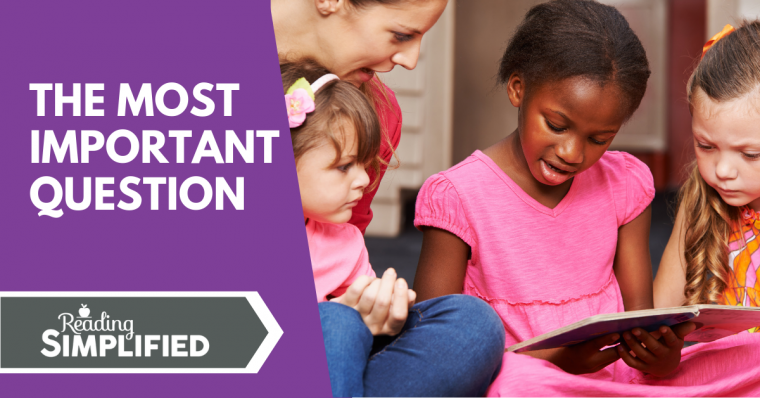 The reading process the child builds should involve comprehension, for if we train the child to read without involving these powerful thinking strategies from the beginning, it will be more difficult for some of them to think about content later. Moving forward, there will be times when you still have to remember Bloom. There will be other, “lesser” comprehension questions to pose. Sigh. But now you will have more confidence knowing that your students’ foundation for comprehension is laid. Perhaps that will cause less taxonomy guilt? If a bookmark shorthand of the above steps in coaching a student to summarize could help you, enter your name and email for the free PDF download below. Also, please share with all of us in the comments below that what challenges you have encountered when trying to teach The Most Important Question. Thanks!! Children want to tell every detail of the story. Yes, that’s so common, Brenda! They need coaching on how to identify just the gist. But that work of determining the most important and culling away the excess is great cognitive exercise. I’d LOVE a bookmark with this info! 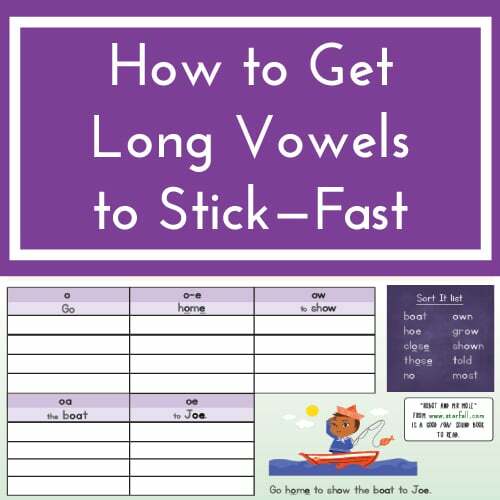 Hi Jayne, please email Kaylah at admin@readingsimplified.com and she will send that bookmark to you! Thank you for this post! I teach 3 hr/day kindergarten and am so rushed I’ve forgotten how important this is! 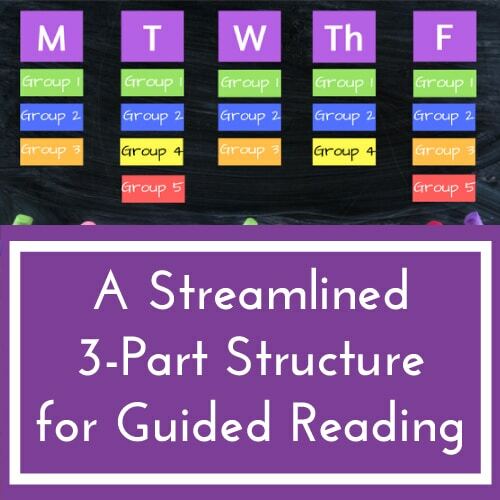 Thank you for this enlightening and sensible breakdown of how we should focus on building comprehension in 3 steps. I am inspired to try this approach with my esl learners. I have experienced the lack of detail when children retell the story after listening to the story. I have asked questions that encourage them to remember the sequential aspects of the story eg. Beginning, middle and end. Whilst our verbal approach reminds them of the detail, their non verbal approach (written retell) lacks the detail. I must obviously rethink my teaching approach. Thanks for sharing this! I’d appreciate a bookmark with these steps. Thank you for sharing this information. I would like a bookmark. Thanks for taking me back to the basics. I look forward to using the bookmark with my kids. Teaching comprehension can be challenging, but this makes so much sense. Thank you for such a thorough explanation, along with the step-by-step coaching. I’ll be using this as the foundation for the compression piece during my guided reading groups. Wonderful, Laura! So glad it makes sense and gives you a plan you like. 🙂 Thanks for letting us know.